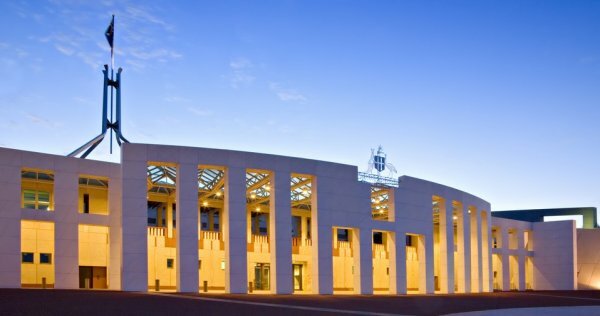 Health minister Greg Hunt has announced the government backs, or backs in principle, 12 of the 13 recommendations of the recent Senate inquiry into transvaginal mesh implants. It has noted one recommendation that called for a retrospective audit of transvaginal mesh procedures since the devices were introduced in Australia. "The inquiry raised awareness about serious and longstanding impacts reported by some women following mesh-related procedures," said Mr Hunt. "I acknowledge the strength of the women who spoke at the public hearings, recounting deeply private and often traumatic experiences." Mr Hunt said many of the recommendations will require collaboration across all levels of government, along with industry and healthcare professionals, and that he had already written to his counterparts in the states and territories seeking their cooperation. The minister said the government had already acted by making a number of changes, including the requirement for device companies to provide improved patient information, strengthening pre-market assessments, introducing new Medicare Benefits Schedule items for the surgical repair of pelvic organ prolapse and removal of mesh, introducing a range of resources developed by the Australian Commission on Safety and Quality in Health Care to guide clinical practice, and launching the new TGA web hub as a central point for consumers and health professionals to find information on transvaginal mesh. Two of the key recommendations were the development and implementation of a system of mandatory reporting of adverse events and the creation of a registry for all high-risk implantable devices on a cost-recovery basis. The Medical Technology Association of Australia (MTAA), which welcomed the government's response to the inquiry, said it supports exploring ways of safely recording a consumer’s medical device information. It said it will work with government agencies to progress the recommendation for the registry through the MyHealth Record future work-plan. In its response, the government said it "supports considering the feasibility of establishing a clinical quality registry for urogynaecological procedures with relevant medical specialty colleges (craft groups)." It added that, while it recognises the benefits a registry may provide, "the practical elements and broader impact...must be comprehensively considered to ensure the best possible outcomes for consumers." “MTAA is committed to working with the Government to progress relevant recommendations," said MTAA CEO Ian Burgess. “The medical device industry’s fundamental purpose is to provide patients better health outcomes. “On behalf of MTAA, I acknowledge the women who shared their deeply personal stories during the Senate Committee process. He continued, “Registries can be invaluable, but they are complex and expensive. To reduce cost and complexities, we believe the Government should prioritise consideration of the inclusion of medical device data in the My Health Record. “The development of My Health Record will provide a tremendous opportunity to improve data collection across the whole health system and across the patient journey, not just specific to a particular silo of the health system."